Sorry I’ve been away a while but my business got hectic and a family member is in ICU so it’s been quite a time. You do such beautiful work. You are so gifted. I am praying for your family member in ICU. Thank you so much Nan. That’s very kind of you and your prayers are gratefully and humbly accepted. 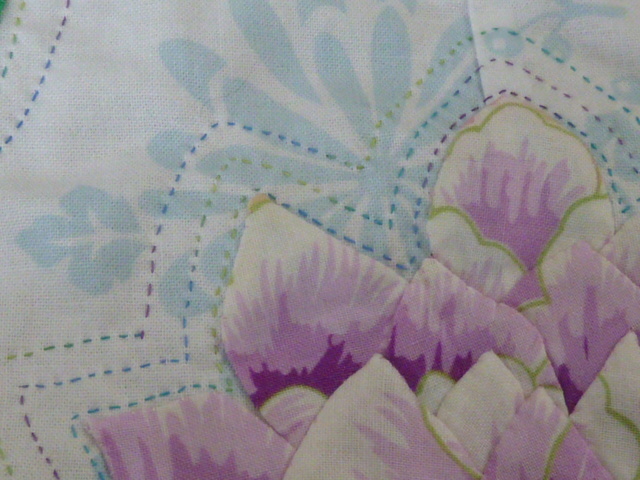 How did you learn to do such small quilt stitches? They’re fantastic. 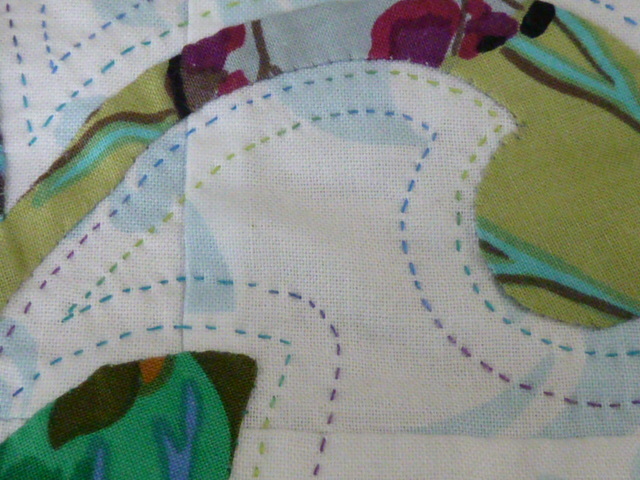 I don’t use a hoop or a frame and I move both the needle and the fabric. I might try to take a video and put it on the blog if people are interested. 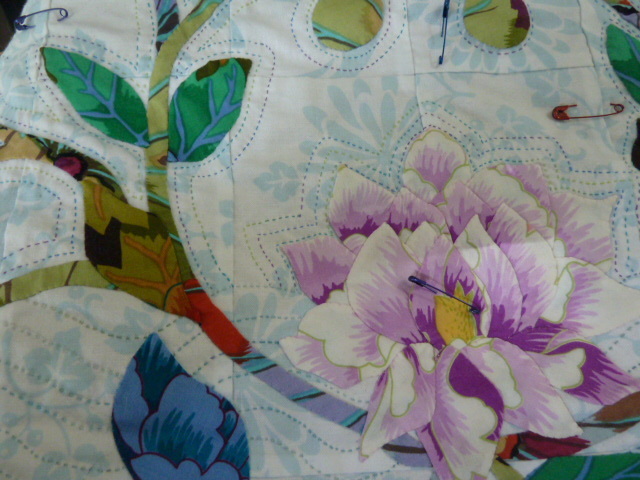 Really like it, the shadow quilting is wonderful! Praying for you & your family – ICU is a very lonely & scary place, hope all is well soon. It’s lovely. Prayes to you and your family.